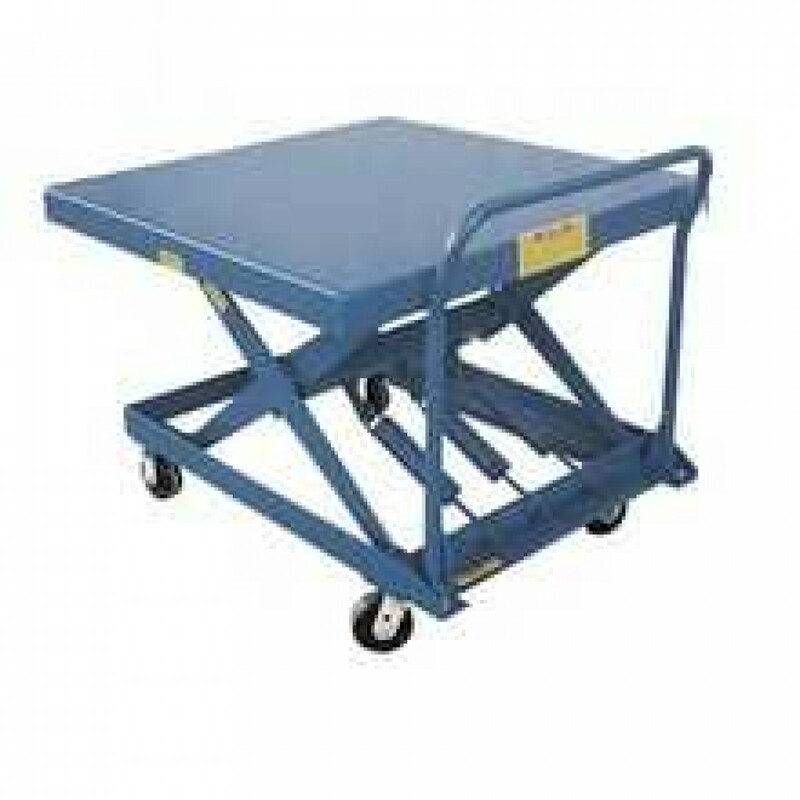 Save your back from bending and twisting with this ergonomic scissor cart featuring a platform size of 48" x 48" and a load capacity of 1000 lbs. With the Vestil SCSC-1000-4848 Auto-Hite Scissor Cart materials are easily loaded and unloaded by raising or lowering the cart. Service Range: 14" to 34"
Equipped with 2 rigid and 2 swivel 5" x 2" polyurethane casters with brakes. Unit stays at an ergonomic height which reduces back strain. Eliminates the need for excessive bending and twisting. Adjust the tension springs to fit each different application. Features an all steel construction with a bolt-on handle. Easily converts to a stationary table when the casters are removed.